Today, the creation of sites does not require financial costs and knowledge of programming, in this we will help the Content Management System or CMS. Surely you've heard of some of them, Joomla, Wordpress, Drupal and others. CMS is a site designer, in which you can create a simple site in a few hours. Also, to simplify the task, Page Builder was developed. In this article we will consider some of them. 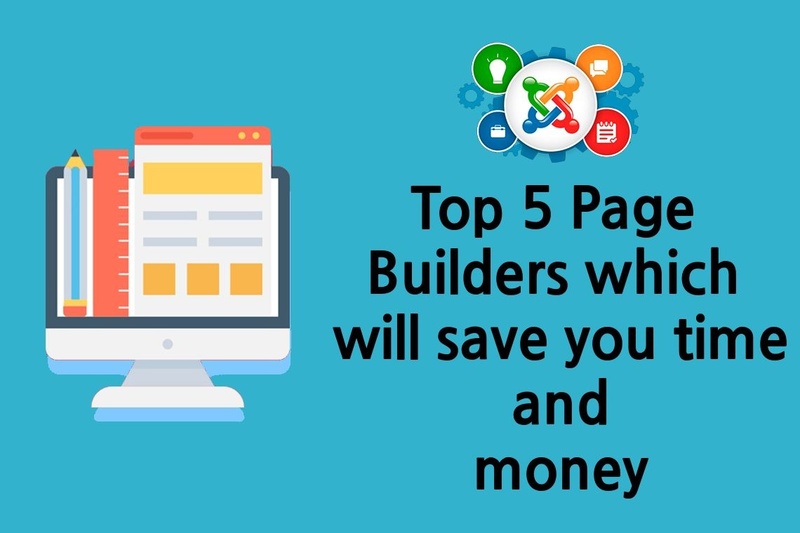 Page Builder is an extension that helps you create pages for your site quickly and easily. 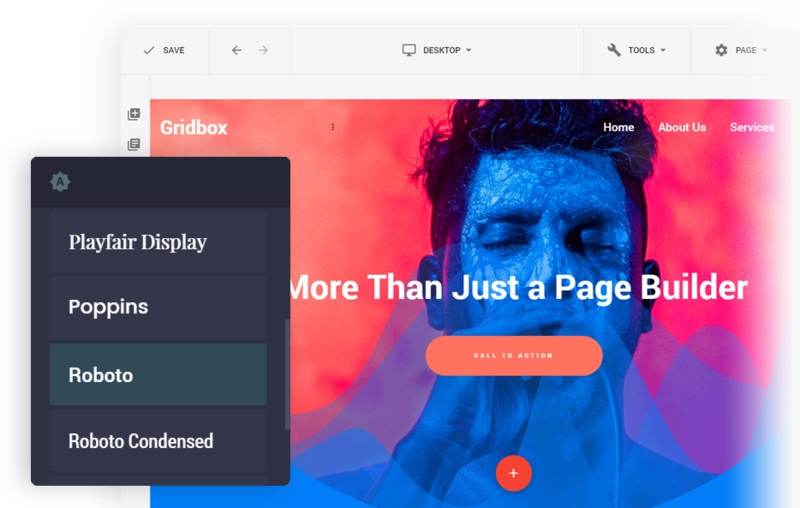 First in our list, Joomla Website Builder Gridbox with powerful Visual Drag and Drop Editor, you can create a site in a few hours, while not touching the code. Gridbox includes a powerful and flexible template framework which allows you to configure template settings on the fly. Tons of options allow you to build awesome Joomla Blog layouts and posts without coding, with just a simple Drag and Drop and resizing. Gridbox responsive editor allows you to configure everything - sizing's, colors, spacing's, menu, etc. Your Joomlawebsite will look awesome on all devices! Second Joomla page builder is SP Page Builder. This Joomla page builder is an extremely powerful drag & drop tool. Whether you're a beginner or a professional, it lets you build a site independently! Real-time Frontend Site Building features a shiny new frontend editing system. The Joomla page builder offers the fastest and most convenient web development experience. Everything you do, every change you made can be seen visually in real-time, no popups, no preview. SP Page builder is packed with powerful Helix framework. Helix is the fastest templateframework which is built with clean codes and modern technologies. Helix is fully Search engine optimized; as a result, you can rank up your content on top of the search result easily. JSN Page builder is one of the top Joomla page builders from JoomlaShine. JSN page builder lets you create any complex web content very easy within the shortest time. JSN page builder comes with elements, with the help of these elements any simple to complex layout can be built, each element has several predefined styles. This Joomla builder is compatible with all popular template frameworks. 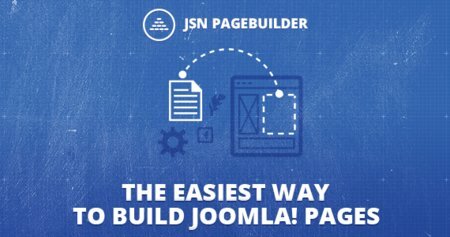 If you have your preferred framework, you can use JSN Joomla page builderconveniently with the framework. This representative of a new wave of page designers in Joomla, this creation is rather a very advanced template, rather than an independent extension. 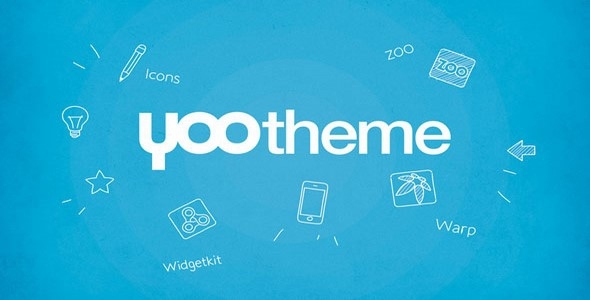 As a matter of fact, both the page designer and the site builder are sewn into the template, and as a consequence, it exists only in the YOOtheme templates. Quix Pagebuilder is a modern responsive site builder for Joomla Includes adaptive control, advanced drag-drop layout technology, a collection of more than 80 powerful and unique elements, and much more. Thanks to the caching mechanism and the powerful rendering engine, Quix ensures that your site will load faster. Quixis the main agnostic, and you can use any of your favorite frameworks like Bootstrap, UIKit and whatever you want. A multitude of elements in combination with adaptive controls, collections and an embedded system make it possible to create a beautiful site that looks great on any device.